Kotoko Brass melds the beautifully complex traditional drumming of Central Ghana, the sturdy bass and keyboards of the Caribbean, and the joyous horns of New Orleans to forge a sound the Boston Globe has described as “propulsive, infectious party music.” The band began when brothers Ben, a performer, scholar, and educator of Ghanaian drumming, and Brian Paulding, a longtime trombone player in Boston’s reggae scene, joined forces. Ben fortified the percussion section with Attah Poku and Kwame Ofori, two master percussionists from Ghana. 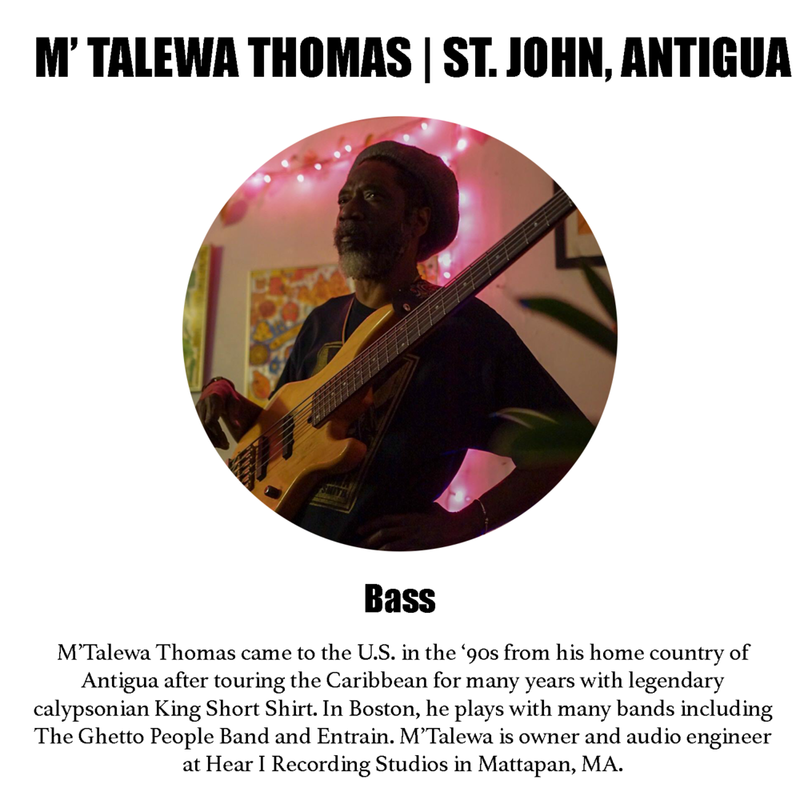 The rhythm section of M’talewah Thomas (bass) and Yusaku Yoshimura (keyboards), as well as saxophonist Andrew Fogliano, fill out veteran rhythm and horn sections. Coming together as Kotoko Brass feels like a superpower. When the traditional Ghanaian percussion and driving drum set grooves meet the steady rhythm section and jubilant horn melodies, we can’t help but dance. Now, after over a year of sharing our sound and energy with audiences across New England, we have seen just how infectious this energy is. While each member plays an equal and vital role in Kotoko Brass, the drums are at the heart of the band. The tradition of Asante drumming is intimately intertwined with dance in West Africa, and our audiences experience that first-hand. That instinctual link between drumming and dancing exists in nearly all indigenous traditions, and it informs the harmony and melody in all of our music. At its core, our music is a celebration of tradition, diversity, and unity. 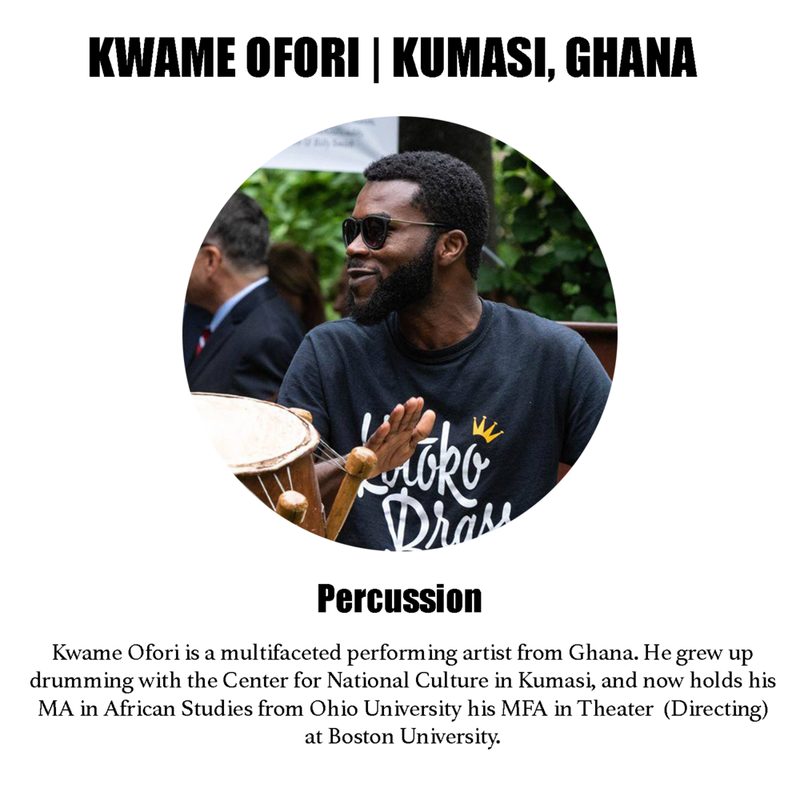 While our compositions are influenced by and emerge from the rich culture and heritage of the Asante Kingdom of central Ghana, they are brought to life by a group that spans age, ethnicity, and nationality. The wealth of our varied musical experience serves not only as an endless well of inspiration, but as a vital opportunity to broaden the depths of our communication as humans.